Admiral Sports is proud to announce that they have signed a partnership agreement with Minnesota TwinStars, one of the top clubs in Minnesota. The TwinStars offer players a full development structure, including premier and academy teams that feed into high-level National Premier Soccer League (NPSL) and Women’s Premier Soccer League (WPSL) sides. They are long-time members of both leagues. The NPSL team has experienced great success, serving as Midwest Conference Champion (2008, 2009), Midwest Region Champion (2009), and National Semi-Finalist (2010). The club fields five premier teams in the Minnesota Youth Soccer Association (MYSA) and their academy has over 220 players. Their U-16 squad is currently ranked first in Minnesota and fourth in the region, while their U-15 side is currently ranked second in the state. 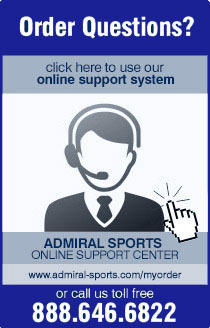 Admiral is a legendary brand, having been worn by some of the biggest names in the sporting world. The England National Team, Manchester United, and the New York Cosmos are just some of the clubs that once donned Admiral. In fact, Admiral has supplied most of the current English Premier League (EPL) teams in addition to being the largest brand in the original NASL. Admiral remains the only brand to have appeared on the kit of both the England cricket and soccer national teams. Admiral has now grown into a major player in the North American market, becoming the second-largest soccer brand supplying professional teams in the U.S. Today Admiral is the brand of champions, being worn by the 2012 NASL Champion Tampa Bay Rowdies, 2013 Premier Development League (PDL) Champion Austin Aztex, and the 2014 PDL Champion Michigan Bucks. Admiral also supplies more National Premier Soccer League (NPSL) clubs than any other company and is a pivotal figure for USL PRO, PDL, Major Arena Soccer League (MASL), WPSL (Women’s Premier Soccer League), US Youth Soccer state associations, and youth teams across the country.